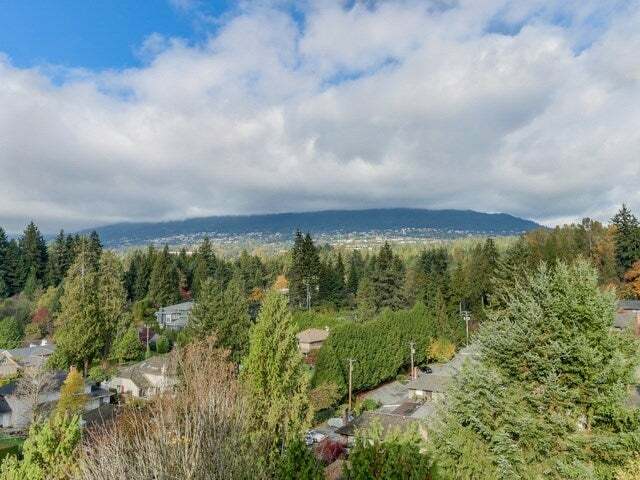 Unobstructed Grouse Mountain and West Van Views! Seldom available top floor one bedroom in Woodcroft's popular Pemberton building. Partial updates and shows well. Great floor plan with balcony off the living room and full height windows to maximize the views and natural light. Kitchen has upgraded cabinets, counters, appliances including dishwasher and built in microwave/hood fan. Near total bath updates. Great building for first time buyers or investors. Nearly 1.2M in Contingency Fund with many infrastructure updates including hot and cold water plumbing replacement, rebuilt elevators, roof replacement and common area renovations. 24/7 manned security, on-site property management and resident caretakers in each building to enhance the Woodcroft lifestyle.